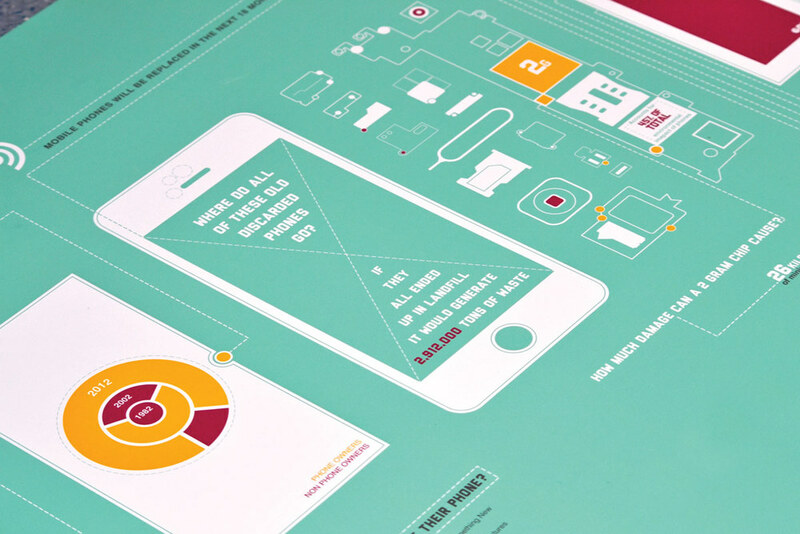 I designed this infographic as a way to highlight the environmental impact of mobile phones. As mobile phones become more disposable, with consumers being offered upgrades more frequently and overall ownership around the globe increases the environmental impact of these items increases. This piece of data visualisation highlights a number of key facts and figures regarding the environmental costs in both creation and waste disposal. I created the structure of the infographic to resemble that of a stripped down blueprint of an iPhone. 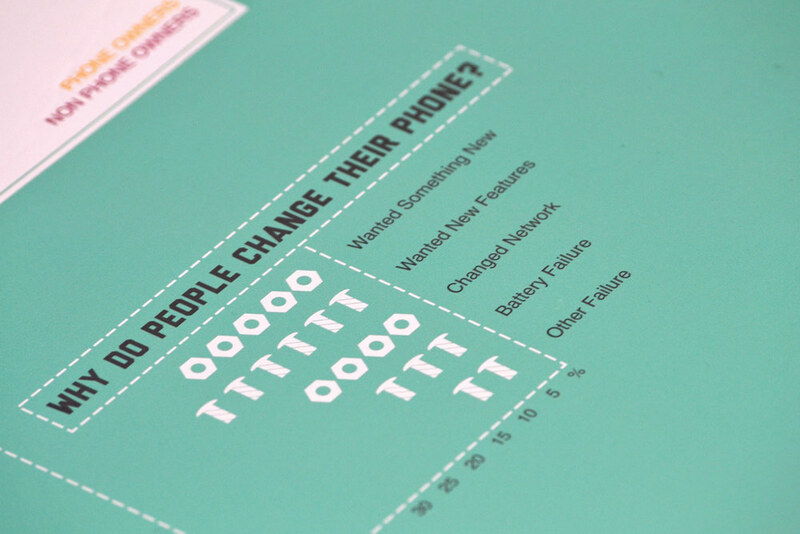 Each component part of the phone helps tell the story of the hidden costs of mobile phones.